Will Smith speaking at the 2016 San Diego Comic-Con International in San Diego, California. 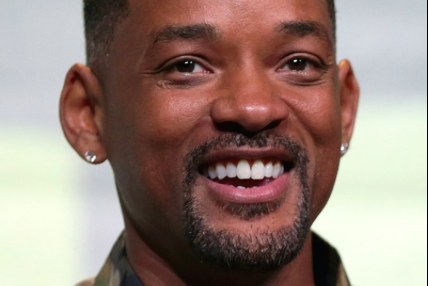 The best part about Will Smith's emergence as a social media star is that we're seeing him return to his natural goofball roots, minus the Hollywood handlers and streamlined brand. There's nothing wrong with Smith the superstar actor and producer, per se. It's just nice seeing him run his own channels and show the personality that too easily gets obscured by the publicity cycles of celebrity life. Speaking of cycling, Smith posted a hilarious video on Wednesday that's already racked up some 9 million views. It's time to knock the Yanny-Laurel debate out of the news cycle. You know it's gotten bad when the U.S. Air Force is making jokes about it from Afghanistan. Without context, Smith is seen seated on a fatty tire bike, pondering whether or not it'll enable him to pop a wheelie at 49 years old. You'd expect this to end with Smith falling backwards off the bike or something, but instead he enters a parallel universe filled with weird imagery on a detour back to reality. Maybe we'll revisit that place on "One Strange Rock" one of these days.